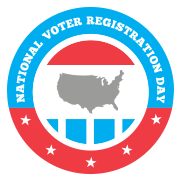 Washington, Sept. 27 – Today, we celebrate National Voter Registration Day. With the election only 41 days away, time is running out for people to complete their voter registration. As we encourage all voters to ensure they are registered, it also is important to call attention to the importance of voting rights by talking about barriers that keep people from exercising their right to vote. This day comes at a critical time not only for the presidential election but also for the one in five Americans who have a disability. The electoral power and political impact of voters with disabilities are being recognized like never before. From front page news stories in the New York Times and the Washington Post to groundbreaking political research by Pew Research Center and Nate Silver’s FiveThirtyEight, Americans with disabilities are being recognized as a potentially decisive voting bloc. Just this past week, Hillary Clinton delivered a major speech about disability employment. Voters with disabilities are more energized and organized than ever before. Through the national efforts of AAPD and the REV UP Campaign, people with disabilities are getting active and getting registered in increasing numbers. When you vote, you are exercising political authority. However, there remain significant barriers that still keep many people with disabilities from exercising their political power. Despite the potentially decisive influence that voters with disabilities can have in elections, people with disabilities face significant barriers to exercising their right to vote. In the 2008 election, only 27 percent of polling places were fully accessible to voters with disabilities. That means that at seven out of ten places to vote, people with disabilities were not able to make their voices, their values and their issues heard. To get started, it’s important to begin by looking at what problems have kept people with disabilities from voting in previous election years. For example, the Department of Justice has a lot of resources which talk through common challenges and easy solutions that polling places can put into place. The next step for people with disabilities and others committed to the cause of voting rights is to get in touch with state and local officials. While agencies like the Justice Department can figure out where the law has been broken, it is up to people in local communities to make voting accessibility a reality. 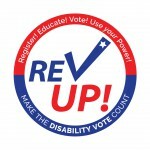 With the big day so far away, now is a time for voters with disabilities to start building connections with local officials through platforms like social media. Here is a list that will let you connect with the local decision makers who can make access for voter with disabilities a priority. Voters with disabilities also can learn more about where their state and local candidates stand on disability issues by reading candidate responses to the #PwDsVote Senate & Gubernatorial Disability Questionnaire. This is the first time down-ballot candidates have been asked to complete a questionnaire about disability-related issues on such a wide scale. Today, as we celebrate National Voter Registration Day, it’s important to start thinking about how to make this election the most inclusive election in recent memory. From the electrons of social media to polling places in our communities, voting accessibility is a challenge that can be solved. However, it only can be solved by getting all Americans engaged, active, and talking about this issue in their community. Together, our nation can make sure that everyone has a chance to vote in 2016. RespectAbility is joining more than 4,000 partners from around the country to register voters. This is the biggest National Voter Registration Day yet! Previous Post Will Hillary Clinton’s Speech on Disability Employment Impact Conversation Topics at First Debate?